This coming Saturday, Beers Made By Walking and Forest Park Conservancy will celebrate the end of a summer-long series of hikes with brewers by tapping sixteen beers. Each of the beers have been created after the brewers hiked an Oregon trail, gained inspiration from the landscape, and used local plants in their place-based beer. 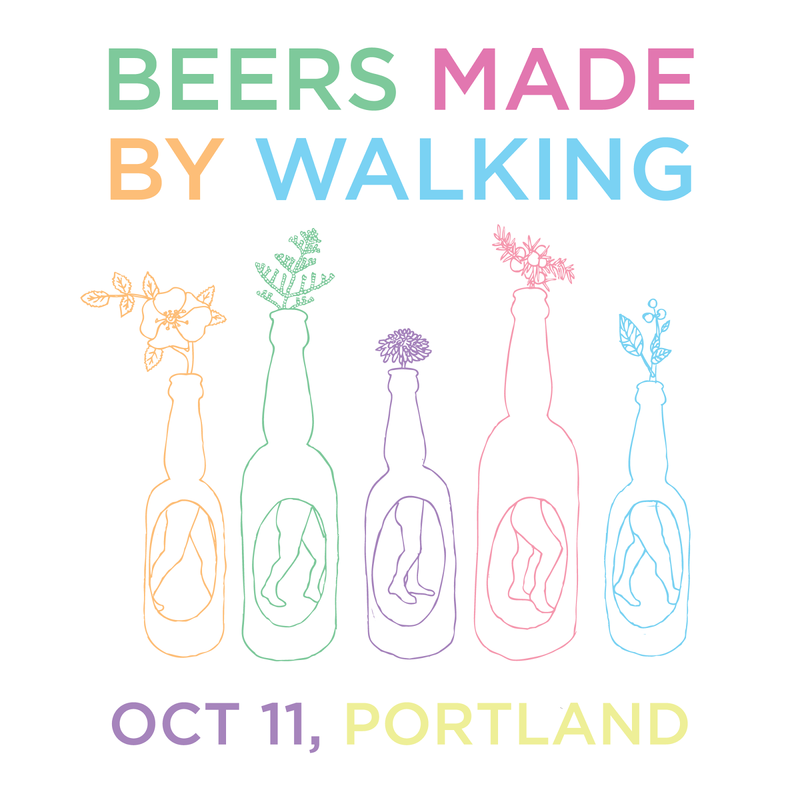 On October 11th, from 12-5pm, the beers will be available at three of Portland’s famous beer bars: Cheese Bar, Belmont Station, and Horse Brass Pub. Drinkers can visit any of the three pubs in any order from 12-5pm. Pint sales at all three locations will benefit the Forest Park Conservancy. For those interested in a scheduled walk between venues, our friends at Oregon Walks have organized a free walking tour between the three bars. Beers at Belmont Station will be available in sample trays, half pints, and pints. Deschutes - Botanic Ale - A light and crisp beer with rye, wild sage, and meadowsweet inspired by a wildflower hike on the Middle Deschutes River. Thunder Island - Sour Darkness - Wild Yeast Harvested from Forest Park Old Growth. Dark, smooth and a puckering background that tastes like fall. Beers at Cheese Bar will be available in half-pint-ish glass size. Hopworks - Salal Slap -A bracingly sour Berliner Weisse with Salal berries. Beers at Horse Brass will be available in glass size. Burnside - Cedar IPA - IPA aged with western red cedar which we think will blend nicely with the citrus and pine notes from this hop combination.